In light of the encroaching cold weather, heat up a nice cup of herbal tea and drink it with some yummy, warm, home-made scones (mm, scones). 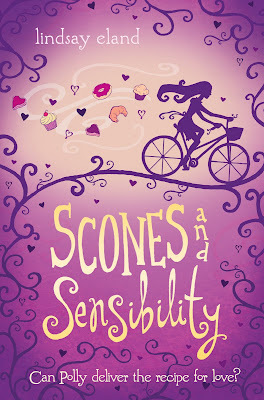 And read this book: Scones and Sensibility by Lindsay Eland! Seek tirelessly and you shall not find a contemporary heroine of middle-grade literature as refined and romantic as Miss Polly Madassa. Still swooning over the romantic conclusions of Pride & Prejudice and Anne of Green Gables, twelve-year-old Polly decides her purpose in life: helping along lonely hearts in search of love. Polly's only task this summer is to make deliveries for her parents' bakery, leaving ample time for this young cupid to find hearts to mend--beginning with the kite-store owner, Mr. Nightquist, who will pair perfectly with Miss Wiskerton (the unfairly labeled town curmudgeon). Polly's best friend Fran Fisk is in desperate need of a mother ever since hers ran off with a man she met on the Internet; Polly must find a match for Mr. Fisk. And while she's at it, it wouldn't hurt to find Clementine, Polly's teenaged sister, a beau worthy of her (so she can shed that brute, Clint). Polly's plans are in full swing, so she definitely cannot be bothered by the advances of classmate Brad Barker. But maybe Polly should have turned her attention to Miss Austen's Emma next, because she quickly learns the pitfalls of playing matchmaker. How will Polly patch up her own relationships, while ensuring that destined love can take its course? 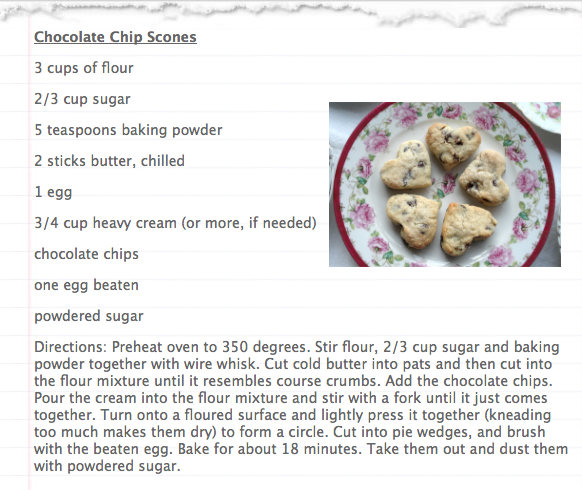 (This recipe is from Lindsay's website featured as one of the resipes she loves.